I haven't had the chance to do much writing for the stage over the past few years, but those projects that I have been able to take on have been really special to me, offering me the chance to collaborate with other members of the community and try to build something together from scratch. This event functioned as Ghost Light's debut, as well as a fundraiser for Women Against Violent Against Women (WAVAW), local intersectional non-profit. 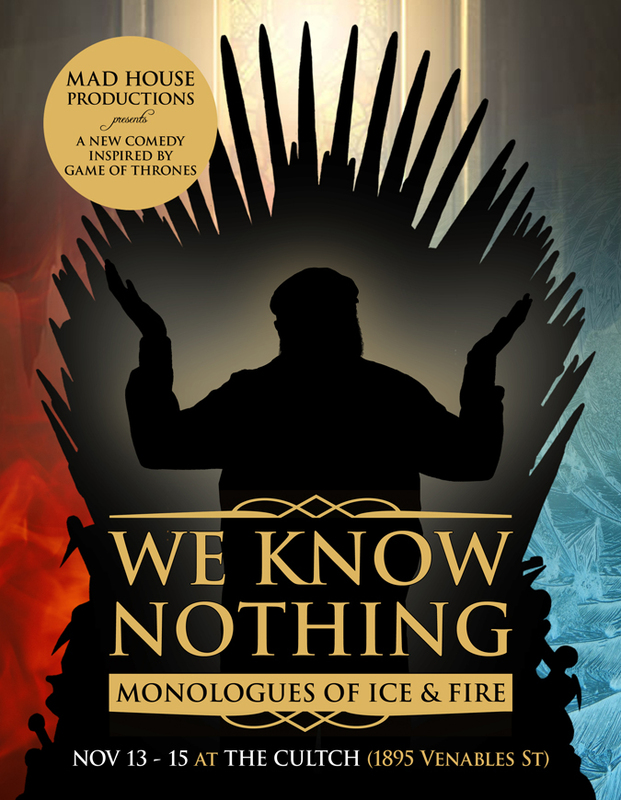 "We Know Nothing: Monologues of Ice and Fire"